Are you planning to stay in Hamburg? You won’t have trouble finding accommodation. These are the best neighbourhoods to stay in Hamburg! Located in northern Germany near the mouth of the Elbe, Hamburg is Germany’s second largest city after Berlin and the country’s first harbour. The metropolis has 1.78 million inhabitants – 3.5 million in the urban area -, spread over 755 km². All at once an economic, industrial, commercial, cultural, artistic, and touristic hub, the city of Hamburg attracts many visitors thanks to its festive atmosphere and its rich cultural and historical heritage. Economically prosperous, the city also attracts a wealth of expatriates, investors and multinationals from all over the world. Accommodation in the Hanseatic city is abundant, and you won’t have a hard time renting an apartment or booking a night to stay in your chosen neighbourhood. 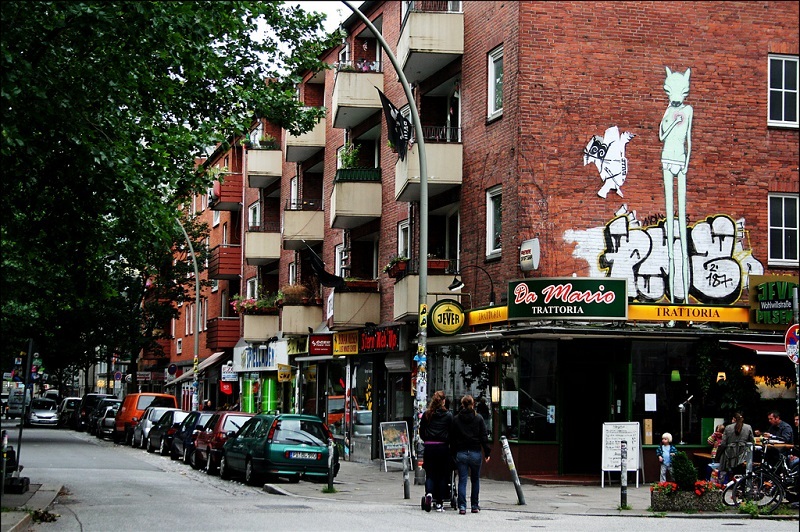 The city is divided into seven districts – Mitte, Altona, Eimsbüttel, le Nord, Wandsbek, Bergedorf, and Harburg – themselves subdivided into many quarters, each with its atmosphere: the city centre, Schanzenviertel, Neustadt, Winterhude, Speicherstadt, Saint Pauli, Eimsbüttel, Neustadt, Schanzenviertel, Rotherbaum, Eppendor, Hoheluft. Situated on the banks of Lake Alster, Altstadt is Hamburg’s oldest district. Here you will find everything you need: historical monuments such as medieval churches and half-timbered houses, numerous bars to enjoy a cold pint, seafood restaurants, an array of shops especially along the shopping streets of Mönckebergstraße and Spitalerstraße. Be sure to visit St. Petri and St. Jacobi churches. Admire the view of downtown from the lake, with majestic church towers and zinc roofs reminding us that we are in a northern city. Further south, don’t miss the warehouse district, named Speicherstadt. Very central, Altstadt is a nice place to stay in Hamburg. However, hotels are expensive and few in numbers. St Pauli is the festive district of Hamburg, the northern Germany version of what could be referred to as a “booze alley”. Once frequented by the working class, this neighbourhood used to be ill-famed and plagued with drugs, prostitution, violence and debauchery. Known as Hamburg’s “Red Light District”, it has become a trendy district attracting young hipsters who gather in its iconic street: Reeperbahn. Remaining true to its rock ‘n’ roll spirit, St Pauli is home to a profusion of bars featuring pop, rock, and metal concerts. There are few hotels here, so homestay accommodation is your best bet. Located north of the city centre, this area is the busiest part of the city. It has many parks and rental rates are much lower than in the Mitte district. If you choose this area to stay in Hamburg, you will be further away from downtown; however, this is the price you have to pay to find lower rental rates. Different atmospheres coexist here. 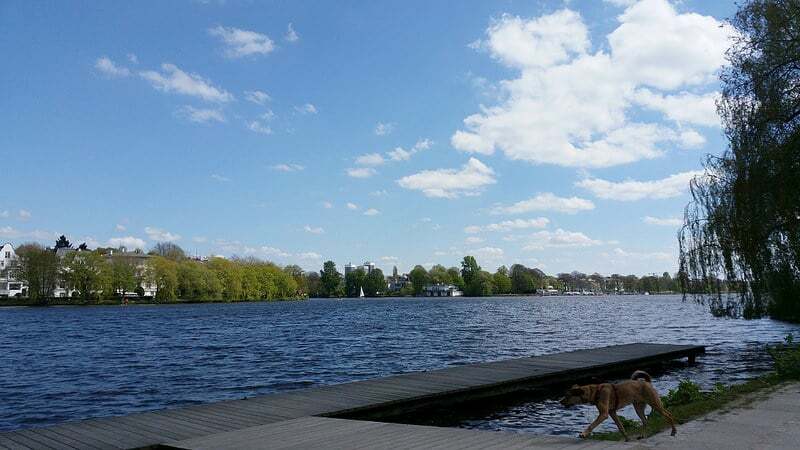 While the area attracts middle-class families who come here to find tranquillity away from the bustling city centre, it features an array of lively and friendly places such as bars, cafés and restaurants close to the lake of Alster. Still looking for a place to stay in Hamburg? 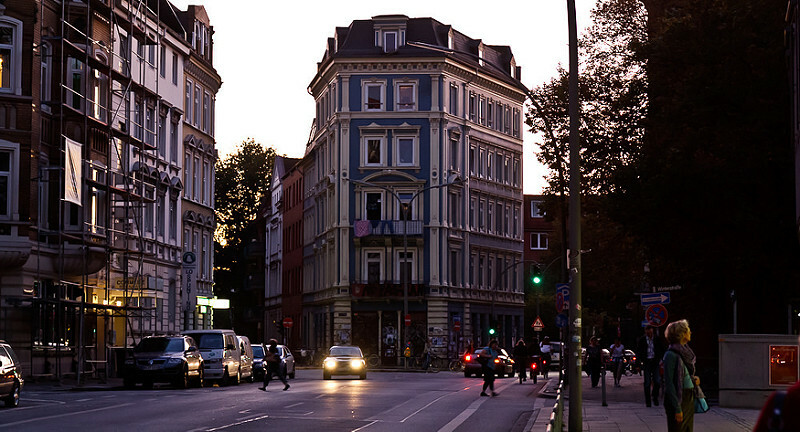 These two quarters are Hamburg’s nightlife hotspot. If you are looking to meet people or party the night away, both areas are your best choice: don’t hesitate to book your accommodation here. As mentioned earlier, it is not difficult to find lodgings in Hamburg and these two quarters are very busy. On this western side of Lake Alster you will find hotels, youth hostels, backpacker hostels, homestay apartments… Not too far from the city centre in a festive and lively neighbourhood, close to all amenities.